Aside from a wedding ring, a man’s watch is usually his sole piece of jewelry that he wears day in and day out, especially at the office. It’s an integral part of a gentlemen’s wardrobe and says a lot about the wearer’s style. Here are some of our top picks for the perfect Rolex as you work your way up the corporate ladder. 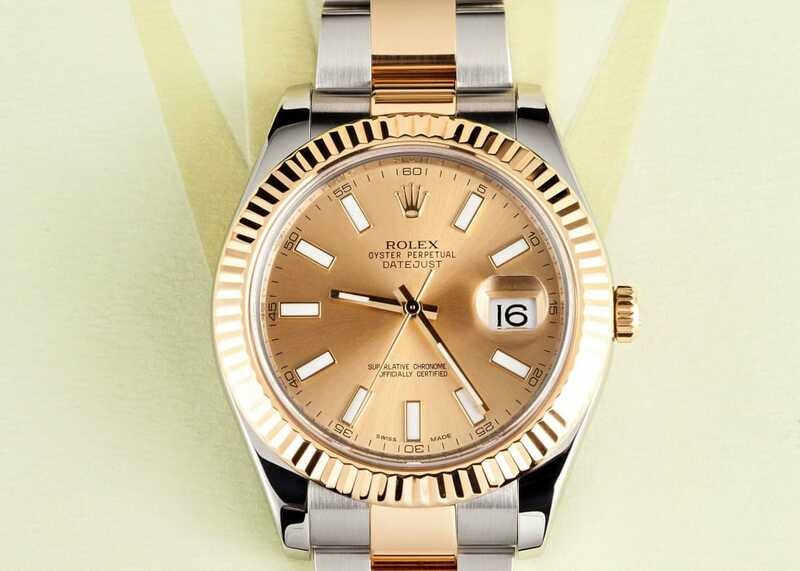 The Rolex Rolesor Datejust II a blend of 18k Gold and Stainless Steel. Early in your work life, you put in the hours and dedication to lay the foundation for a long and successful career. On your quest, you need a reliable yet unassuming workhorse watch that is serious, elegant, and uncompromisingly reliable. Enter the Rolex Air-King. An entry-level Rolex watch, the Air-King is equipped with everything you need in a wristwatch and forgoes everything you don’t. Its streamlined look carries the classic design hallmarks of the brand – stainless steel, Oyster bracelet, and the round Oyster case – without being over the top. Also just as important is the Rolex automatic mechanical movement within to keep you on time, every time. And with prices of pre-owned models starting at less than $2,500, it’s well worth the money to look sharp, especially since the Air-King will continue to tick along precisely and look great for decades to come. Stainless Steel Rolex Air-King is the perfect entry level watch. Your hard work has paid off and now you’re well on your way. You have a team that you lead, important responsibilities to maintain, and have the respect of your peers. It’s time to invest some of your cash to upgrade your timepiece. The Datejust in stainless steel is an excellent choice since it’s still subtle enough to pair with a suit or business casual wear, yet offers more functionality with the date window. The Cyclops lens placed just above the date not only magnifies the number, but it also makes the watch instantaneously recognizable as a Rolex. 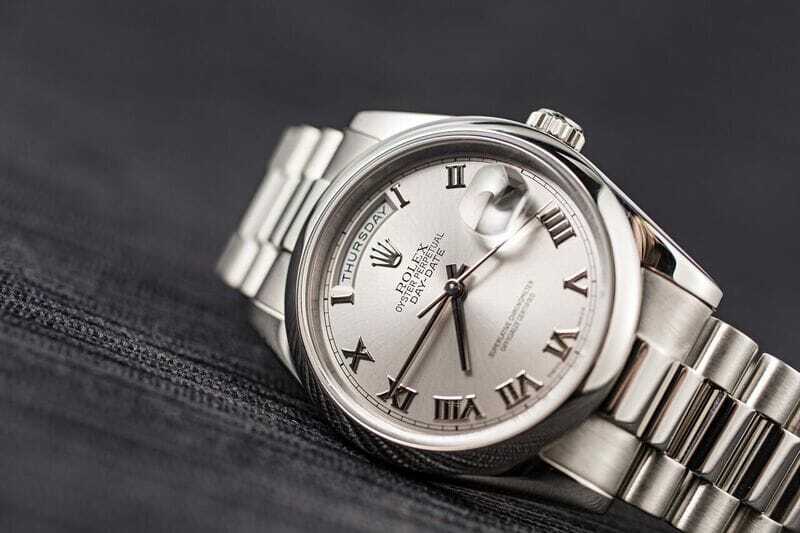 The Rolex Datejust watches are equipped with a restrained 36mm Oyster case and are available on either an Oyster bracelet or a Jubilee bracelet. With a fantastic array of dial colors and hour-marker options, it’s easy to find one that is perfectly suited for you. Work your way up to a Rolex Stainless Steel Datejust. As we see it, each day is important. Great achievement deserves a truly great watch to celebrate. Splurge on yourself and look to the two-tone Rolex Datejust 2 to commemorate your well-earned success. Larger than the original Datejust, the Datejust II’s Oyster case measures an impressive 41mm and the Rolesor – Rolex’s term for mixing gold and stainless steel – models include an 18k gold fluted bezel and gold center links on the Oyster bracelet. As its name suggests, the watch comes equipped with the date function and thanks to the screw-down crown outfitted with the Twinlock system, it’s water resistant to 330 feet. Dial colors vary from light to dark, and hour-markers are available in Arabic numerals, Roman numerals, or sleek baton style for a truly versatile collection. Elegant and luxurious, with a strong masculine appeal, the Datejust II is the ideal classic watch for the driven and powerful. 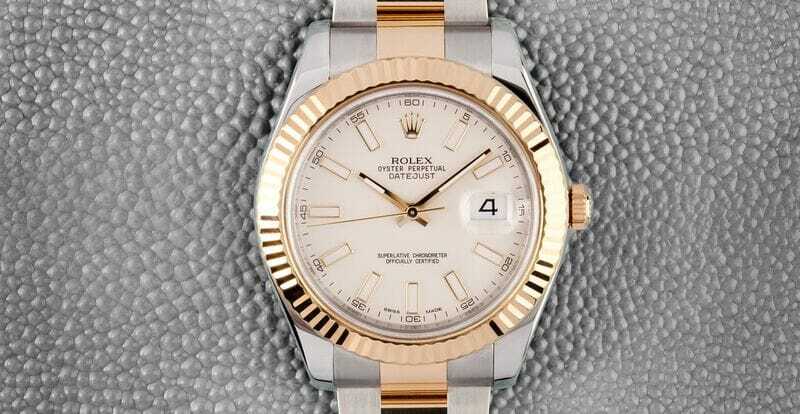 Rolex Two-Tone Datejust II with a fluted bezel. What do those at the top wear on their wrist? The Rolex President, naturally. Only crafted in either solid 18k gold or platinum, the Rolex Day-Date is the ultimate expression of prestige and made for the discerning few. The original Day-Date is made with a 36mm case and Rolex introduced the Day-Date II in 2008 with a 41mm sized case, later replacing it in 2015 with a 40mm case. The “President” nickname came about in part due to the President bracelet – with semi-circular three-piece links – found on the models. On the exquisite dials of the watches lies the day aperture at 12 o’clock with the day of the week written in full, along with the date window at 3 o’clock. Exclusive to the platinum versions are the ice blue dials for an absolutely striking look. 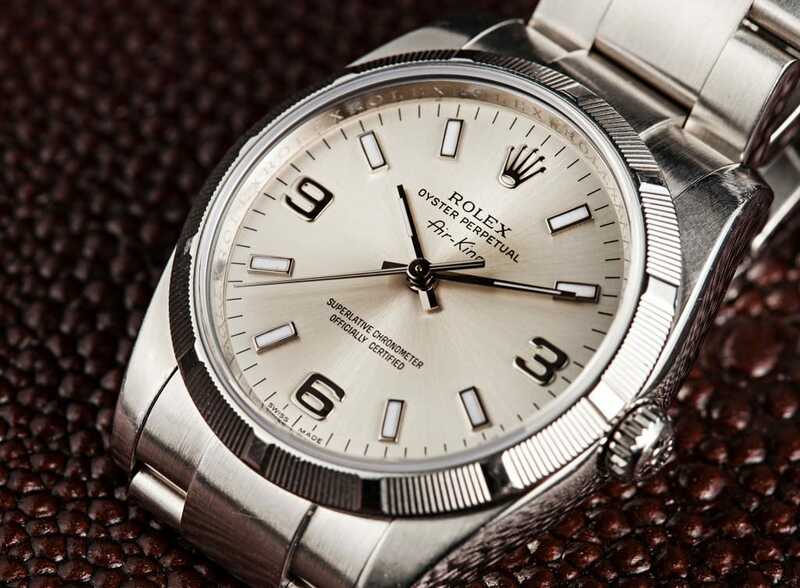 The consummate Rolex dress watch, the Day-Date is as impressive as the men who sport it. 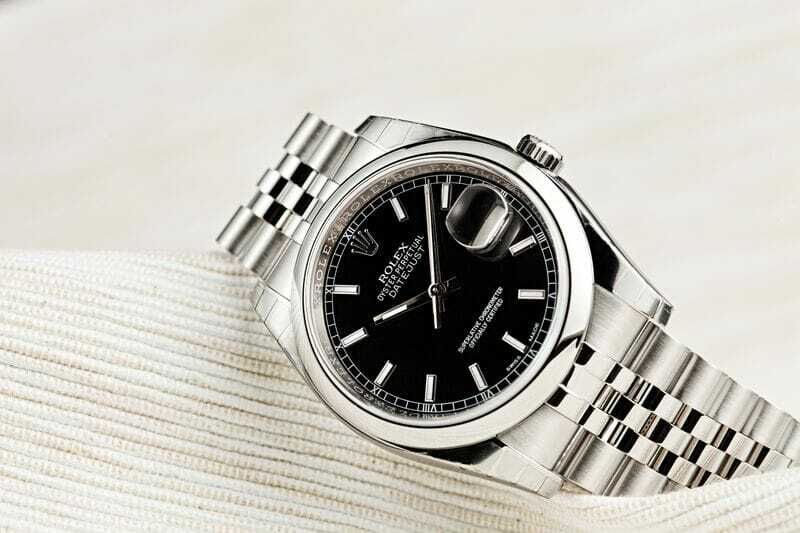 Rolex Platinum Day-Date is reserved only for the best.